The pairings have been announced for the Region 6 Junior College Basketball Tournament. The Coffeyville Community College Men's team, which received a first round bye will not play until Sunday evening at 7pm when they face the winner of the Butler- Colby game this Wednesday.at Hartman Arena in Park City. The Red Raven Ladies will have to hit the road for their first round matchup this Wednsday evening at 6 when they take on Pratt. Meanwhile the Independence Community College Mens and Womens team will host a pair of first round games this Wednesday when they both takea on Garden City. The Coffeyville Community College Men's Basketball team closed out the regular season with 16 straight victories when they defeated Butler County Saturday afternoon 80 - 74. The Ravens had as much as a 15 point lead in the second half before the Grizzlies fought back to come within 1 but in the last several minutes the Red Ravens put on a display as to why they are the conference champs to widen the gap and seal the win. The Raven were led by Casey Benton with 17 points while Marvin Johnson added 14. The Ravens by virtue of their 28-2 record and regular season conference championship have earned a bye in the first round of the Region 6 Tournament which starts Wednesday. The Ravens will have a week off before they begin play in the second round of the tournament next Sunday afternoon at 1pm. Their first opponent in the tournament has yet to be determined. Meanwhile the Lady Ravens fell to the Women's conference champions Lady Grizzlies 67 - 42. The Lady Ravens will play in a first round Region 6 Tournament game this Wednesday on the road but as of yet don't know who they will face. Both the mens and womens basketball teams traveled to Chanute Kansas to face off against the Neosho County Community College Panthers. The Panthers sit in the middle of the Eastern standings for the men and the ladies were on spot above Coffeyville in the standings starting play. The Lady Ravens picked up another big win Monday night in Chanute, facing off against the Neosho County Panthers. A back in forth game all night ended up going to Coffeyville after a wild and half that had several lead changes and eventually winning bhy just one point 87 to 86. Both Tatiana McCreeand Brooklyn Wade had a game high of 17 points and Jayleen Cole added 15. The win pushes Coffeyville to 7-21 overall on the season and 6-13 in KJCCC play. It wasn’t an easy game for the #3 Coffeyville Community College Red Ravens last night, but they found a way to get out with a W. Trailing 46 to 39 at Half the Ravens came out of the gate hot and took a 70-57 lead with 10 minutes to play. However, the Panthers of Neosho County would not go down without a fight tying the game and taking it to overtime with a score of 87-87. The Ravens would establish their dominance in the overtime outscoring Neosho 18-8 to win the game 105-95. Keon Queen had 22 points with 8 rebounds as Coffeyville traded the dominant 3 point game for a great low block presence as well as guard Tevin Brewer had 16 points, 5 assists and 3 steals. The win pushes the Ravens to 27-2 on the season and 18-1 in KJCCC play. The Ravens are back in action Saturday in El Dorado, KS against Butler CC at 5pm for their final game on the 2018 2019 schedule. C.C.C. Finishes Unbeaten at Home - Change To Scheduling! 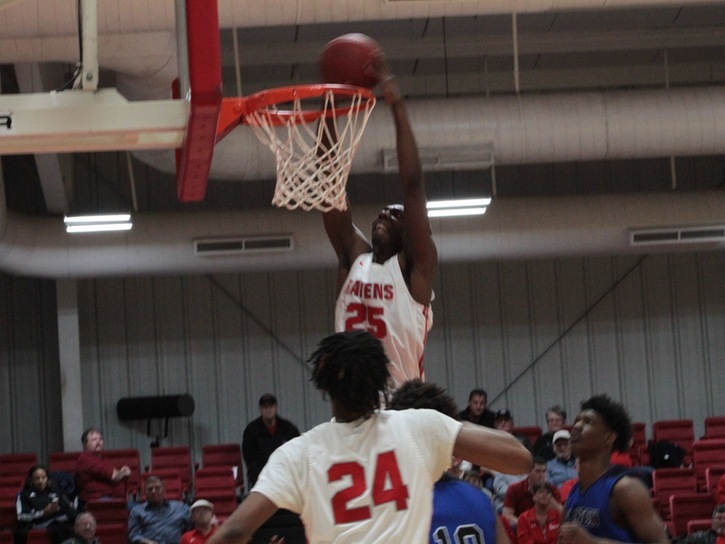 Coffeyville Community College men's basketball also played Wednesday night against Montgomery County rivals Independence Community College, as the Red Ravens did not disappoint capping off their home schedule with a 82-71 win. Didn't come without at least a little fight from the Pirates, though it wasn’t enough as Coffeyville hung on to the lead. This put the Red Ravens to 15-0 at home this season Quawn Marshall led the Ravens in scoring with 15 points and added 7 steals to the stat sheet. Tevin Brewer and Casey Benton also added 13 points each for Coffeyville. Wednesday nights final home game also meant Sophomore night for many Ravens. 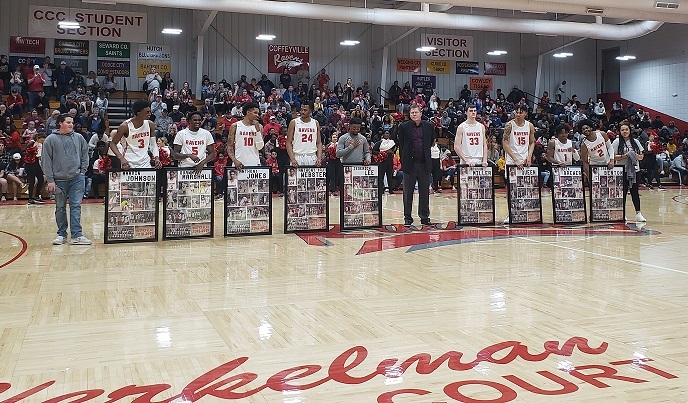 Tevin Brewer, Casey Benton, Marvin Johnson, Quawn Marshall, Anthony Jones, Keon Queen, AJ Webster, and Jackson Miller were all honored for their dedication to Coffeyville Community College and Coffeyville Basketball. The Ravens are now 26-2 overall and 17-1 in conference for the 2019 season. Coffeyville heads to Neosho for one of their final two games on the 2018-2019 season.. Tip off is set for 5:30 for the women and 7:30 pm is the expected start time for the men and there has been a change. At first was scheduled for this Saturday but due to inclimate weather it has been moved to Monday February 18th from Chanute at N.C.C.C. 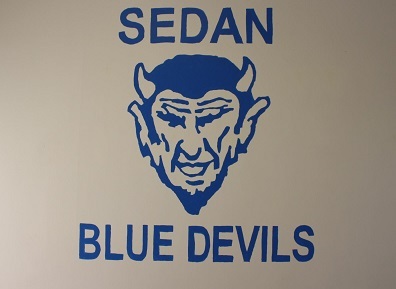 The Sedan Boys Basketball team hung on to pick up a win over Argonia Thursday night. The Blue Devils 50 - 37 win keeps them atop the South Central Border League standings with a 8-1 league record and 15 - 5 overall. On paper the game looked like an easy win for Sedan as the Red Raiders came into the game near the bottom of the standings at 1 - 11 on the season. 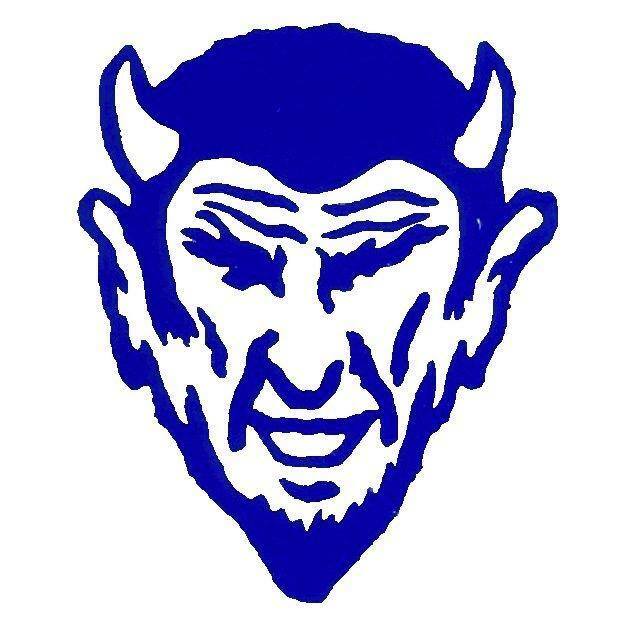 However after Sedan built as much as a 14 point lead the young Red Raiders squad fought back to within 6 with under 2 minutes to go before the Blue Devils pulled away to pick up the 13 point win. In last night's first game, the Argonia ladies defeated Sedan 45 - 37. The match up was originally scheduled to be played Friday night but because of the forecast for winter weather and hazardous road conditions Friday the game was moved up to last night. #3 Coffeyville Red Ravens men's team also played The Allen County Red Devils on Monday night, and despite a fast paced second half comeback by Allen Coffeyville still got the win 93 to 77. In the early going of the first half both teams struggled to score the ball as both teams traded defensive stops for the first 10 minutes of play. Due to poor free-throw shooting from the Red Ravens (2-10 in the first half), Allen was able to hang around until late in the half when Coffeyville extended their lead to 21 points leading 47 to 26 at the half. Early in the second half Coffeyville pushed their lead to 30 points, as Allen turned the ball over which led to easy baskets for the Red Ravens. The Red Devils would catch fire from the 3 point line as they connected on 8 of 13 attempts. The Red Ravens responded with a run of their own to push the lead back to double digits in the final minutes of play. The Red Devils showed great fight in the second half and made the game interesting late, but the comeback would fall short. The Ravens took on the T-Birds of Cloud County. As the ladies looked to turn it around after a tough loss against Cowley and the men's team looked to continue their dominance. As for the men, The Ravens started the game slow, giving Cloud the opportunity to stick with them. The Ravens boasted an impressive 29 rebounds in the first half, with 9 of those being offensive. Those offensive rebounds and an impressive 14 first half points and 10 rebounds from Miekkel Murray helped give the Ravens the lead at half, 37-30.In the second half the Ravens came alive, looking more like their usual self. Shooting and distributing the ball well. Another big factor to the win was turnovers, Coffeyville forced cloud to commit 26 turnovers in the second half alone. With the high number of assist and forced turnovers the Ravens get the win over the T-Birds, 81-68. The second home matchup and third of the season for Coffeyville against rival Independence. In the girls matchup it was hard fought game but the Nado girls fell to Indy 55-52. The Nado boys after have a week and half off were looking to break the split and claim the season series against the Bulldogs. 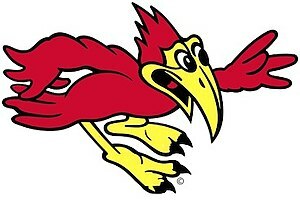 Coffeyville led by as much as 21 at one point and would come away with the victory 52-46. Next matchup is Tuesday against Parsons at home.